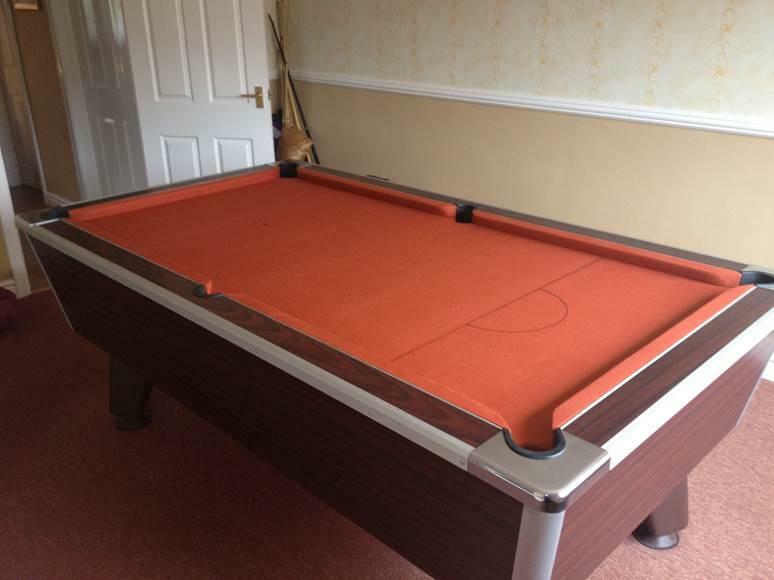 This was a Pool Table Recover in Llandudno North Wales. 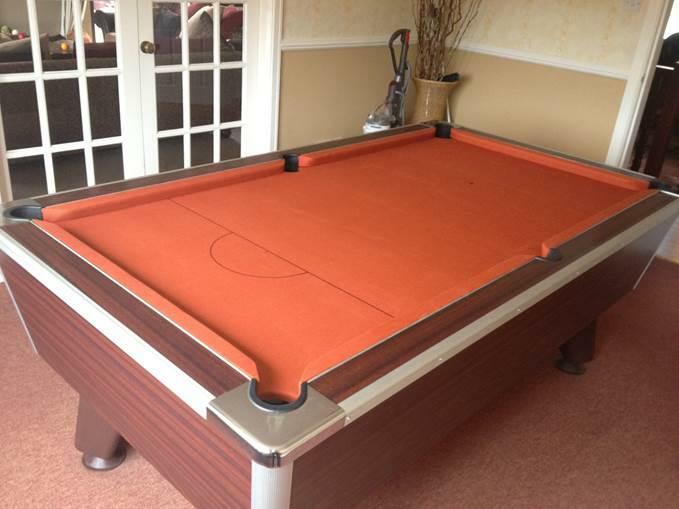 The customer requested that we Recovered the table with a Hainsworth Smart –Orange Cloth. This went down well and they were really pleased with the finishing look. The colour blended well with the carpet and the table finish.